· Wash plums and remove stalks. Cut the plums and remove the stone. · Keep heat low and add sugar. Stir until sugar has dissolved. 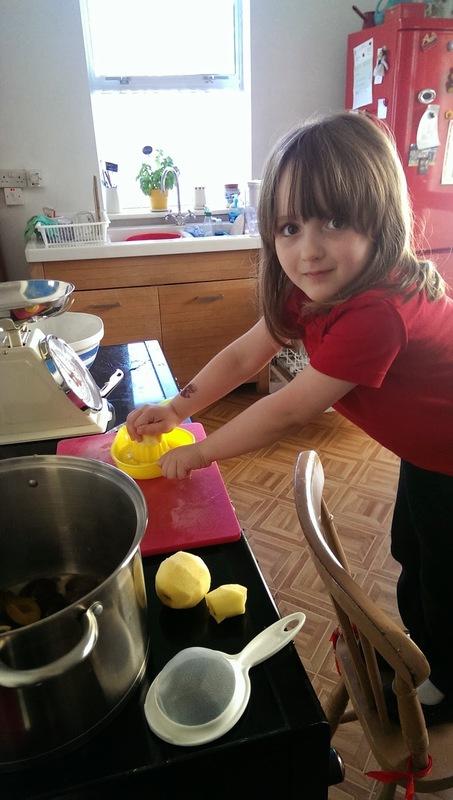 · Stir in the butter to reduce frothing. Turn up the heat and stir continuously until the mixture comes to a rapid boil. 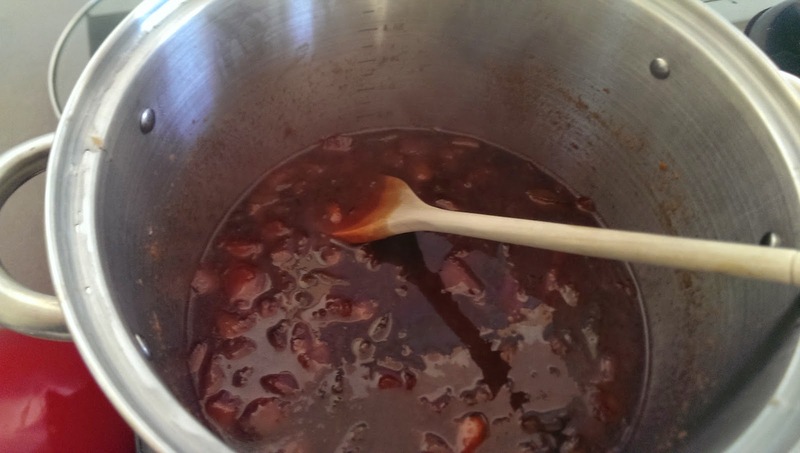 · Continue stirring on high heat until the jam reaches setting point. This is when the mixture starts to thicken and set on the sides of the pot. · Remove from heat. To test, place a teaspoon of jam onto a cold saucer. Allow to cool, then push your finger through the jam, it should start to congeal and wrinkle up - if it’s still runny, you haven’t yet reached setting point. · If not set, return the pot to the heat; bring back up to a rolling boil and test again in a few minutes. 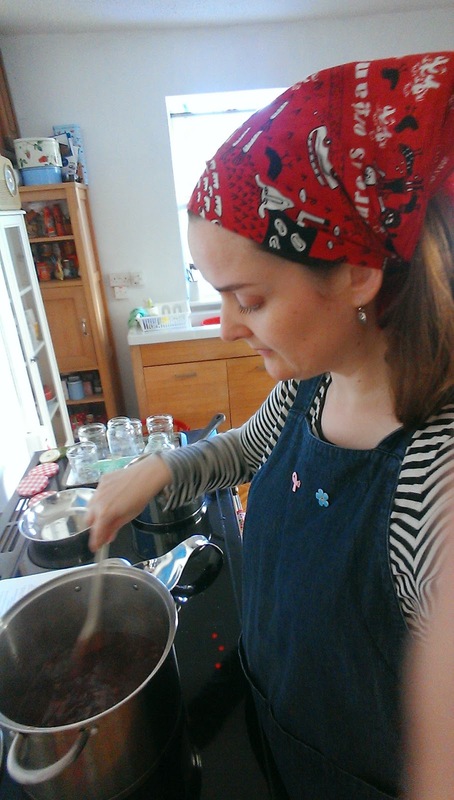 · Remove from heat and ladle into clean, sterilised, warm jars. (I got four Bonne Maman jars of jam from this amount.) Seal while jars are warm. · Clean jam jars and lids in the dishwasher or with water and washing up liquid. Dry thoroughly. · Line a baking tray with newspaper. Place jars on it – make sure they are not touching. 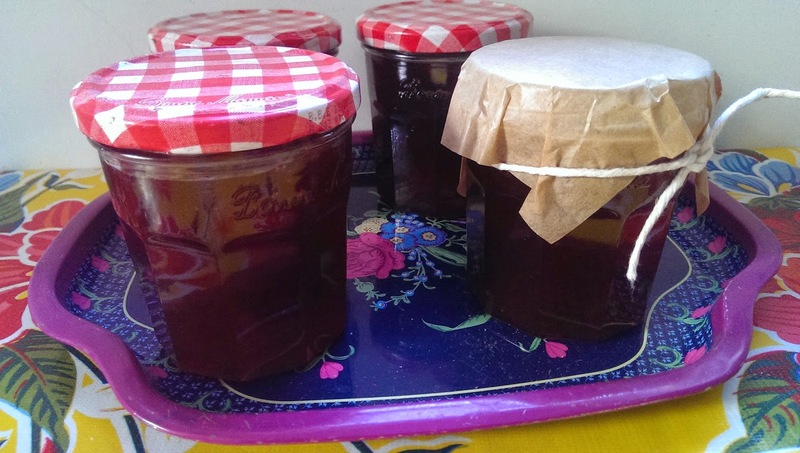 · Pop in the oven 20 minutes before you expect your jam to be ready – the jars must be hot when you put the hot jam into them. · Seal immediately with lids or with greaseproof rounds and greaseproof/plastic lids held on with elastic/string. 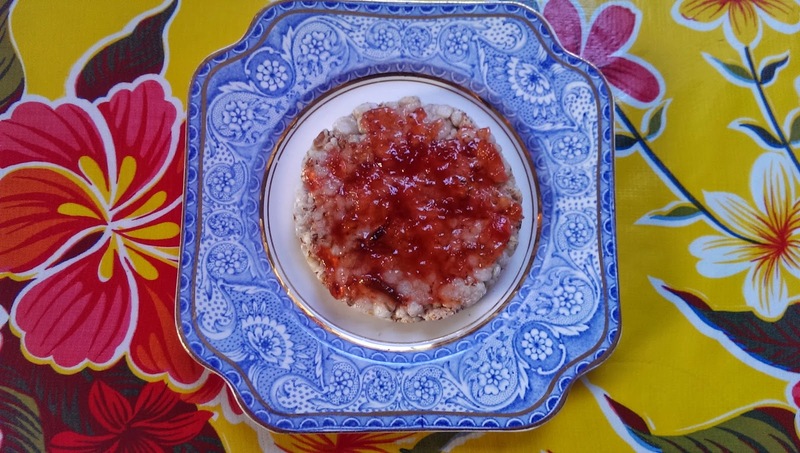 Plum jam on a rice cake - yum!